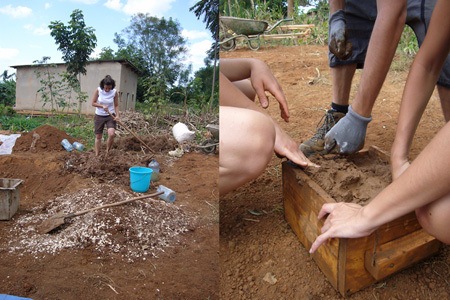 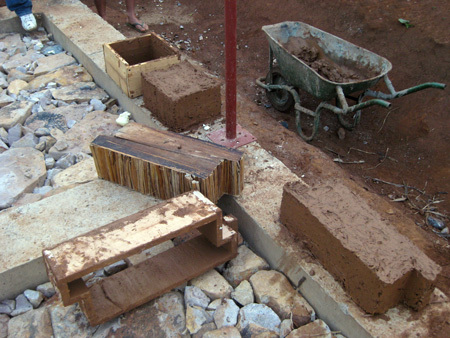 Today we made 15 bricks using soil and the banano leaves; we started a coumpound with soil and chipboard. 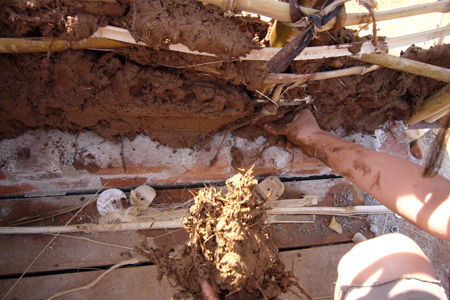 We worked on the fish mouth of the west entrance. 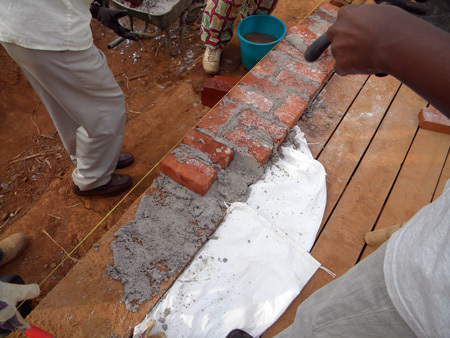 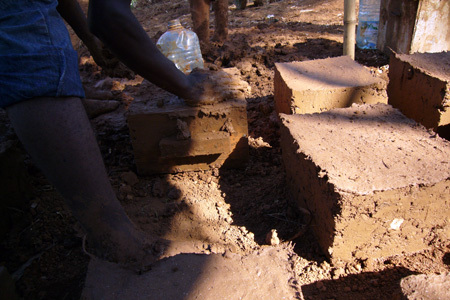 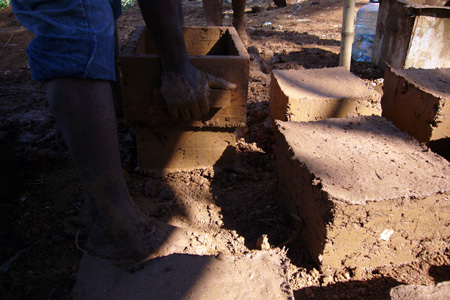 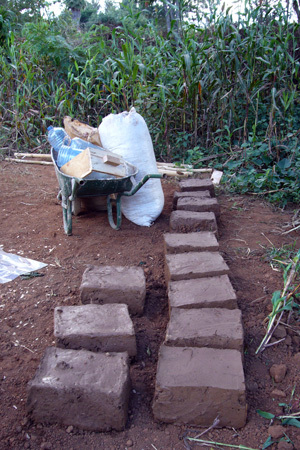 Today we built the base with the bricks in order to divide the adobes from the ground and avoid the humidity to rise. 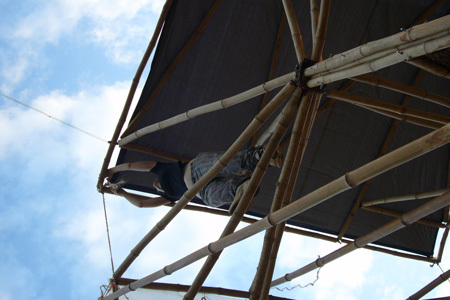 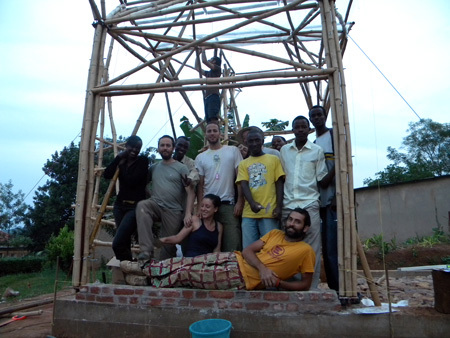 We finished the plastic roof to collect the rain water as well. 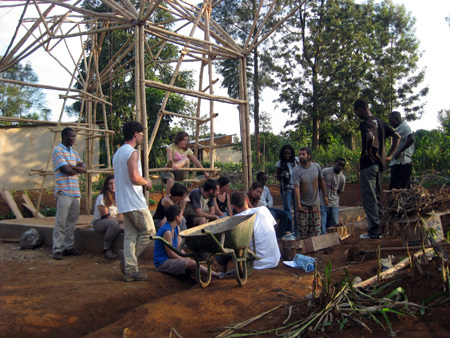 Today we had a lecture of arch. 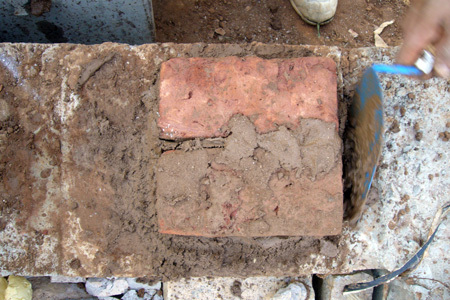 Alberto de Simone about the several use of the bricks. 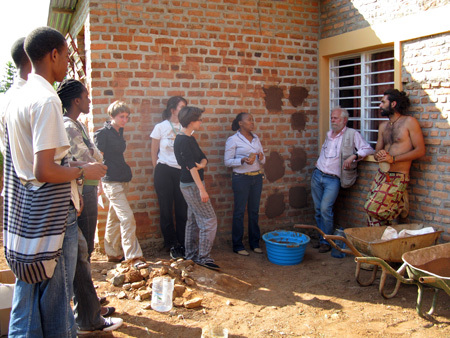 We worked on differents thinks, so we shared in 3 groups. 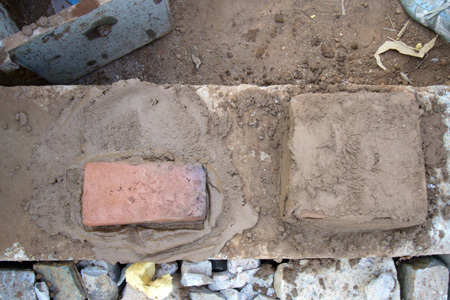 The first started to realise the main entrance. 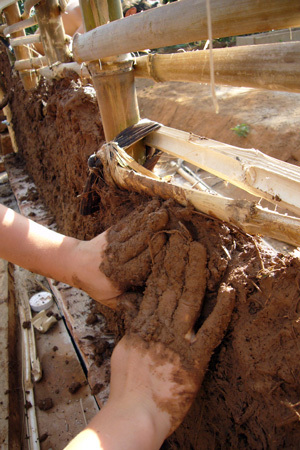 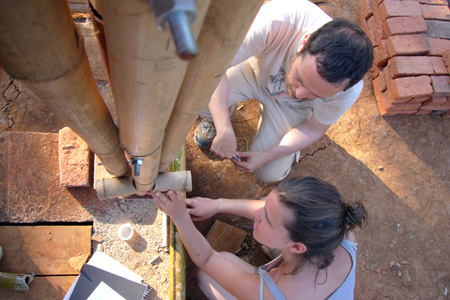 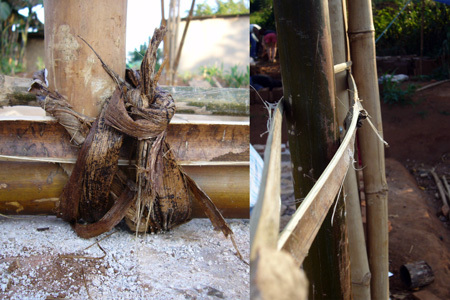 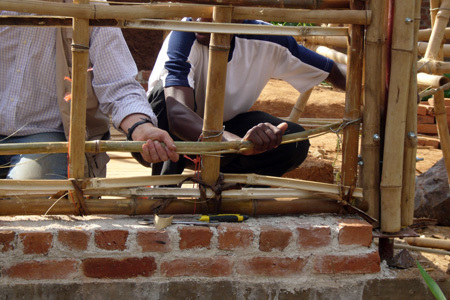 The second projected and started to build the first plugwall using the tecnique of torchis. 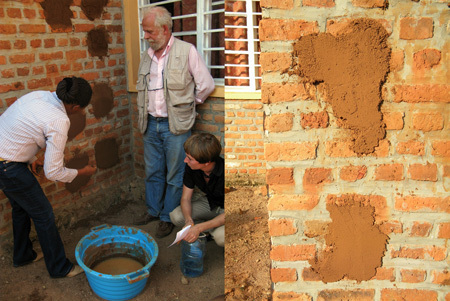 The third projected and started to do some test with the adobe bricks. 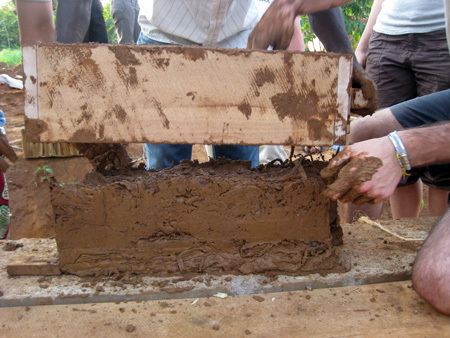 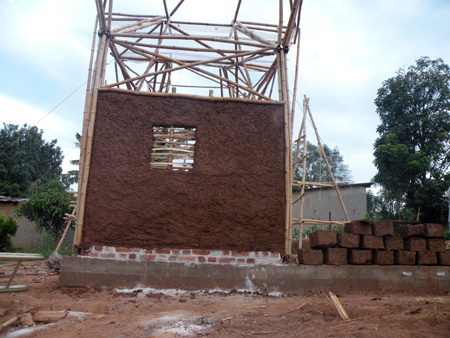 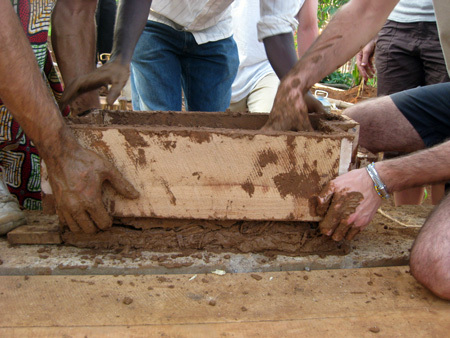 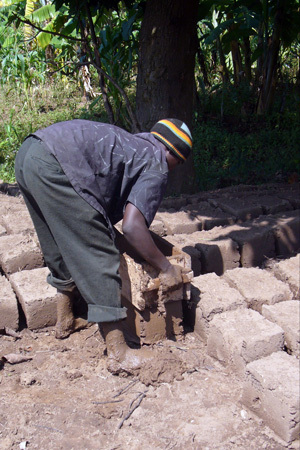 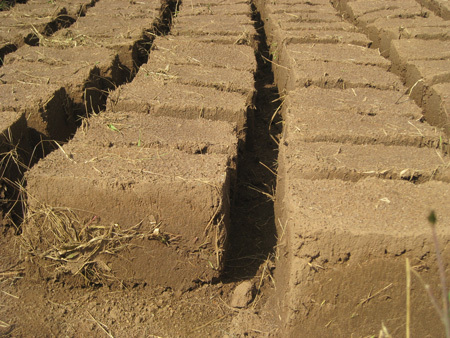 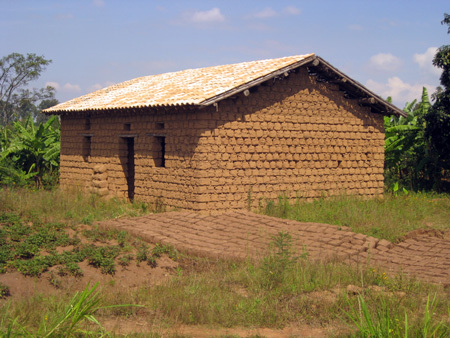 Yesterday we went to Nyanza, during the journey we saw the working of the adobe bricks. 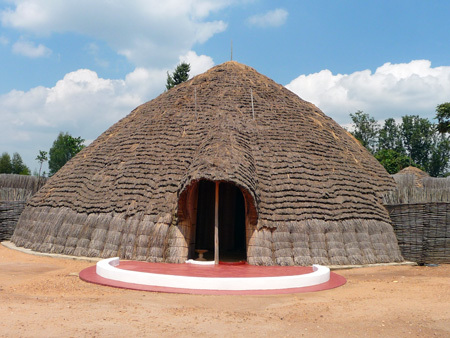 In nyanza we visited the museum and the imyanya y’inzu, the traditional house of the king. 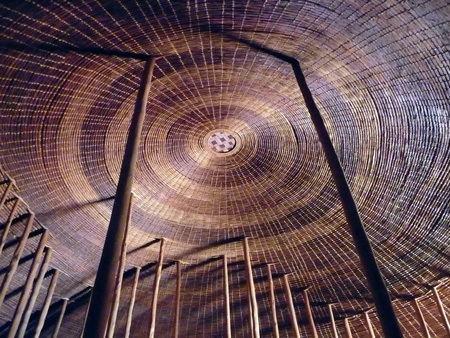 The house has a circular form. 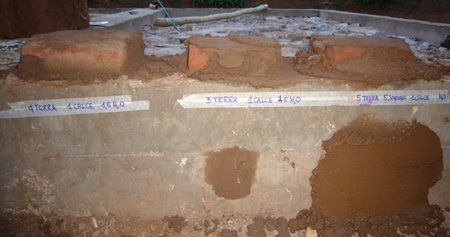 We saw all the different parts of the house, the main are: inkomaizo z’umuryango, the upsights surrounding the house’s entrance to ensure the privacy; ikirambi, the central part of the house where the head of the family sit during the evening with his friends; urubumbiro, in the center of the room used as a fireplace and for decoration; and many others parts of the house. 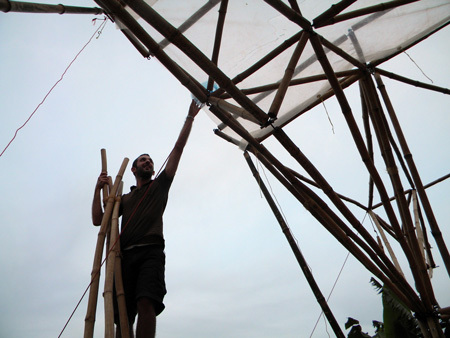 This week arrived arch. 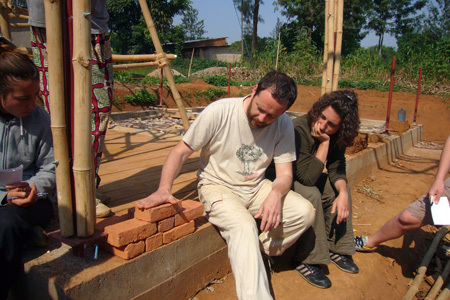 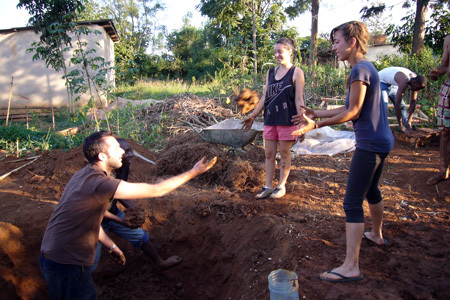 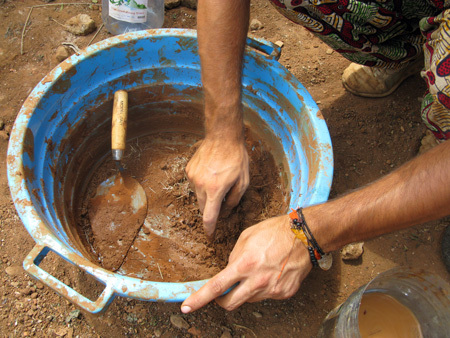 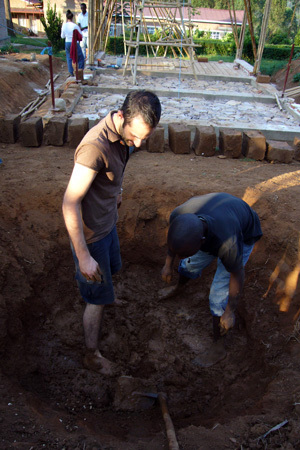 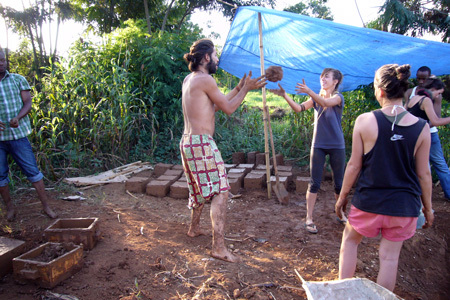 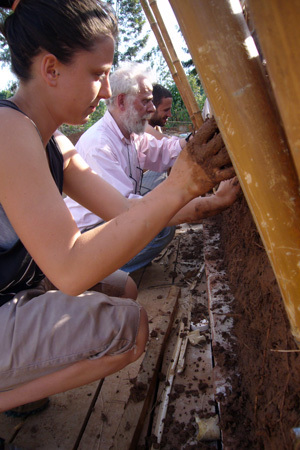 Alberto de Simone and we began to work on the adobe bricks. 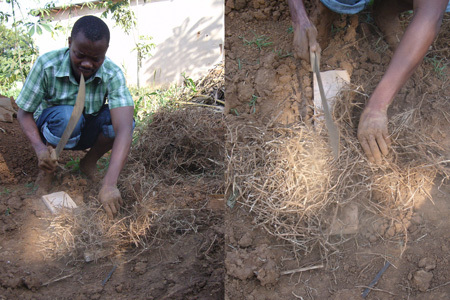 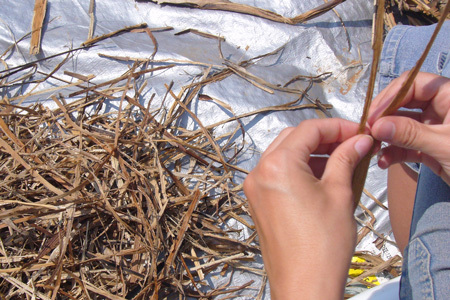 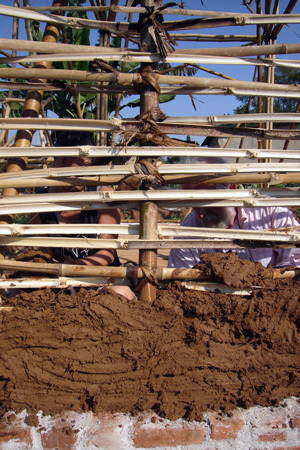 We are doing some experimentations with different materials, such as soil and vegetable fibers. 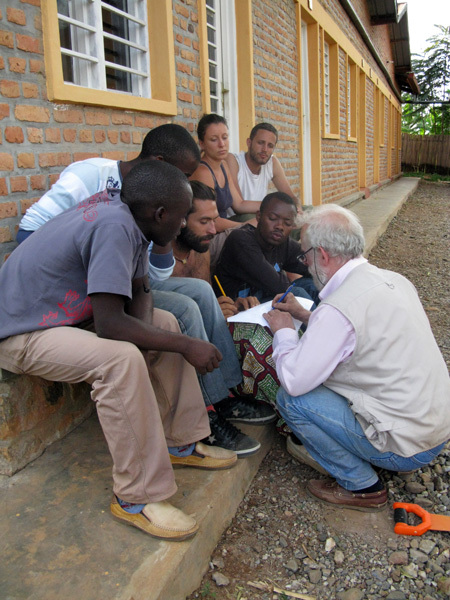 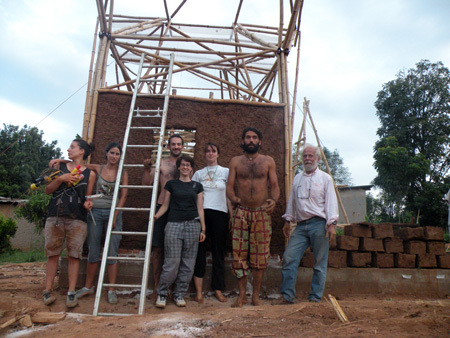 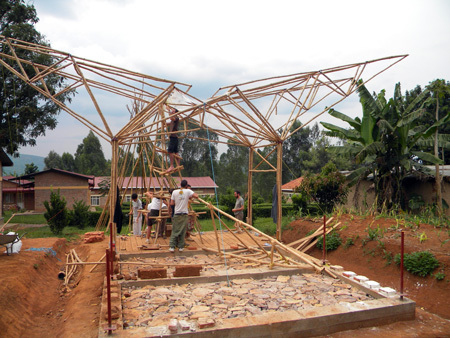 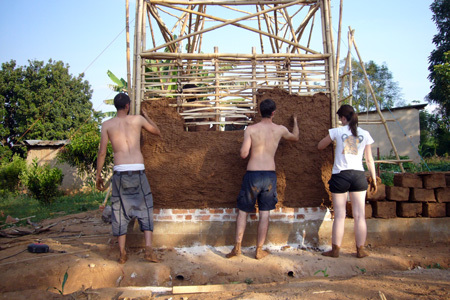 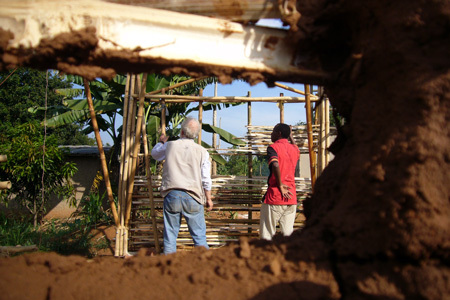 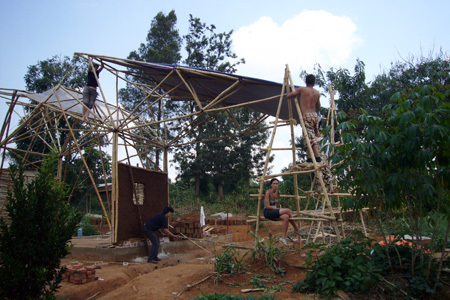 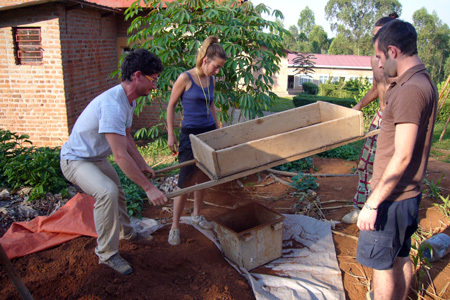 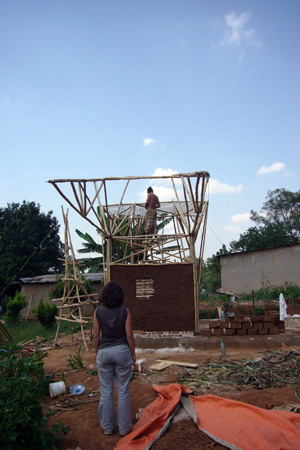 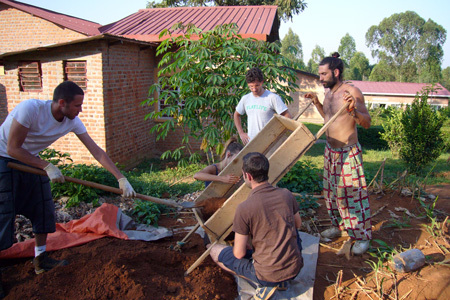 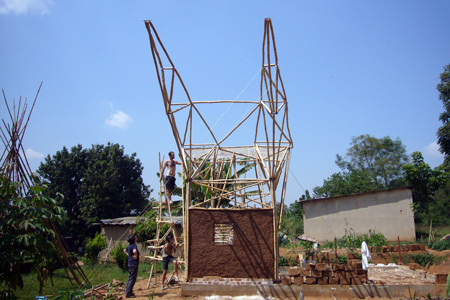 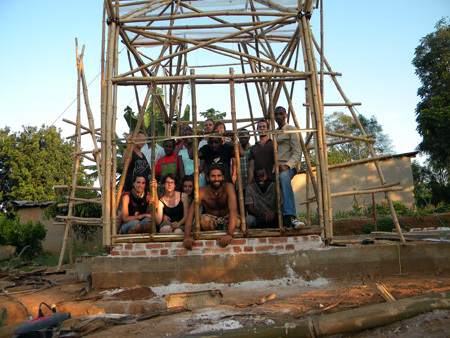 You are currently browsing the Atelier Rwanda workshop blog archives for giugno 2010.